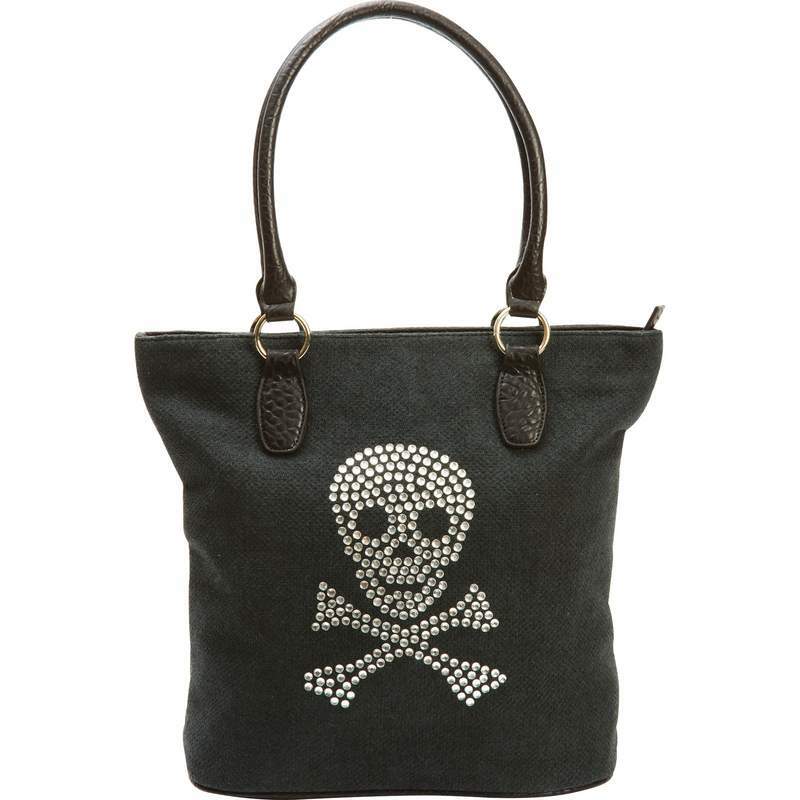 Fleur de Lune® Handbag with Rhinestone Skull. 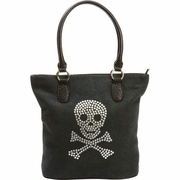 Features cotton and linen blend canvas construction; shoulder straps; zippered closure; interior zippered pockets, and side pouches. Measures 15" x 14" x 4".